Currently, the negotiation process for most meals with Aiden takes up to an hour. Eat cheese, Not!! Eat soup, Not!! Eat kalbasa, Not!! At least pizza is always a yes. Always a work in progress. Aiden slow-dances with his toys. Shot January 26th, 2009. 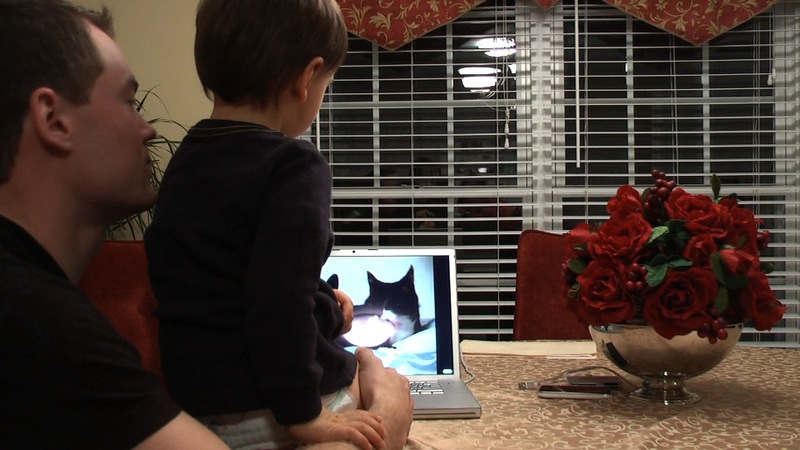 Youtube videos convince Aiden that he is a kitty cat. Shot January 24th, 2009. Aiden and Daddy watching funny youtube videos. Shot January 24th, 2009. 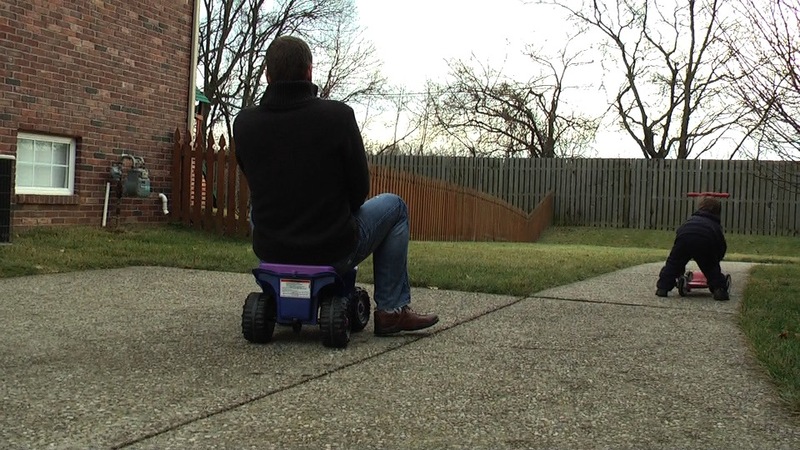 Daddy catches a ride on Aiden’s 4-wheeler. Shot January 23th, 2009. 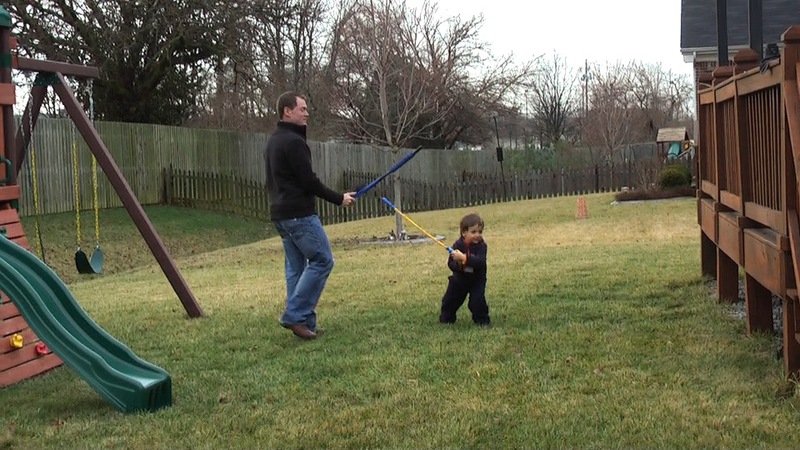 Aiden fighting (and winning) against Daddy. Shot January 23th, 2009. 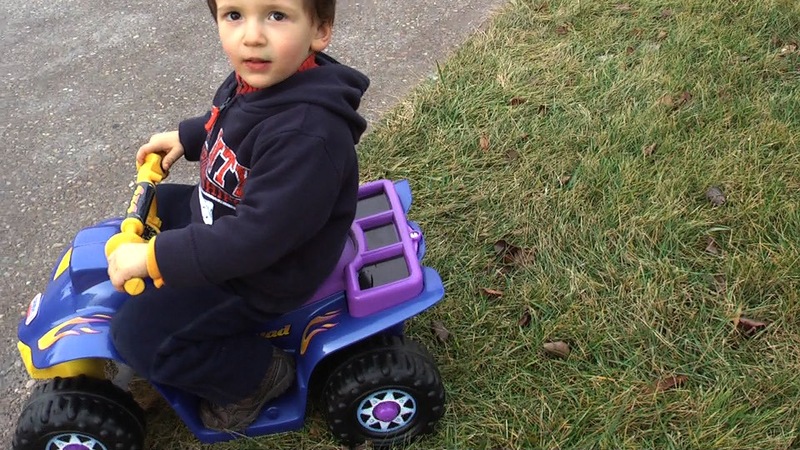 Aiden riding his 4-wheeler in the yard. Shot January 23th, 2009. 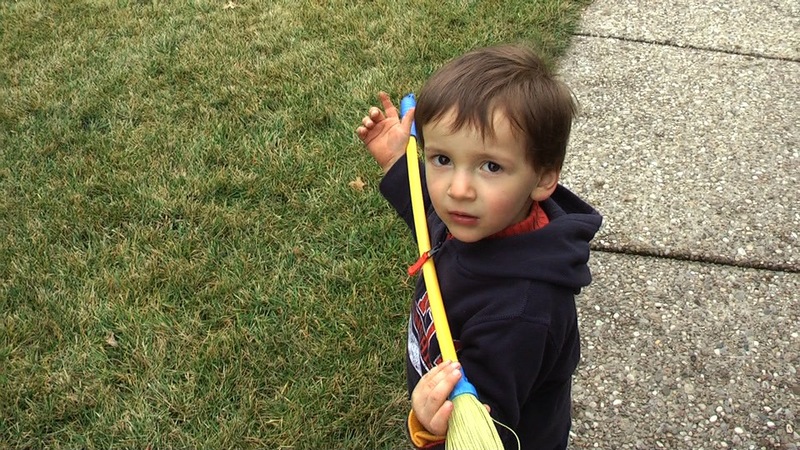 Aiden tells Daddy to clean the sidewalk. Shot January 23th, 2009. Daddy introduces Aiden to the best songs of the 80′s. Shot January 17th, 2009. 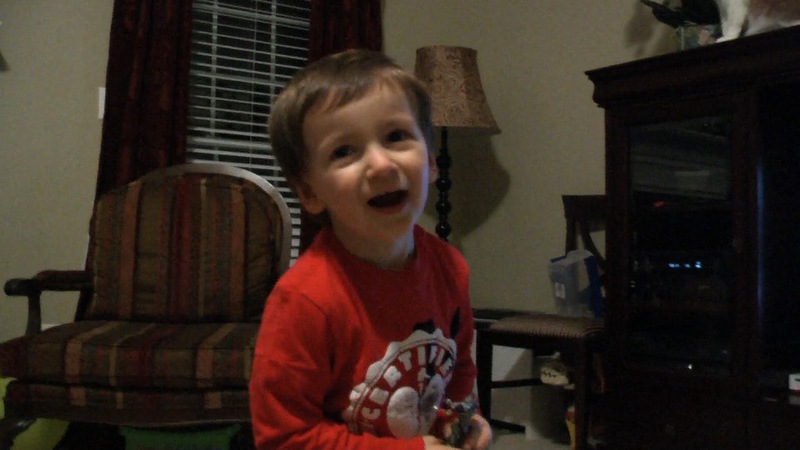 Aiden shows off his awesome singing and dancing abilities to some Baskov. Shot January 13th, 2009.